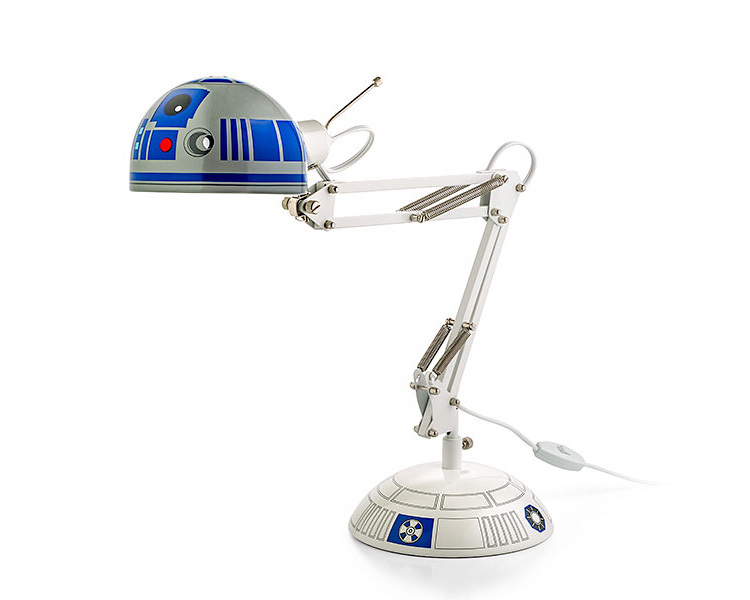 This architectural style desk lamp is made to look just like R2-D2 from Star Wars, except, you know, in lamp form. 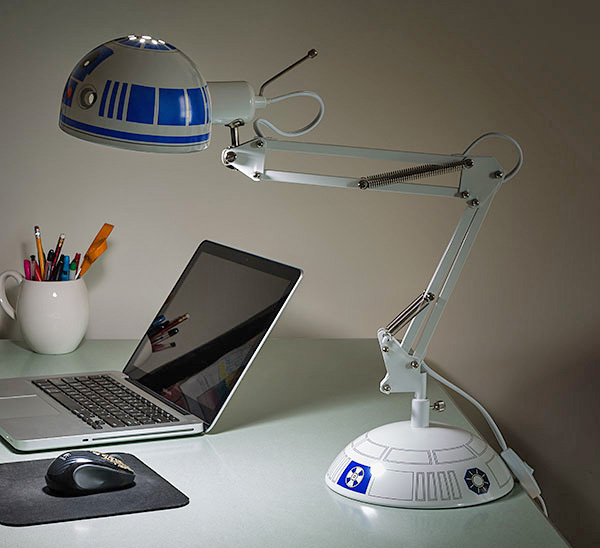 Officially licensed from Star Wars and sold by ThinkGeek this R2-D2 desk lamp is sure to light up whatever nerdy thing you're currently working on like programming algorithms, photoshopping your head with Princess Leia's head on a picture of her kissing Hans Solo, or de-greasing your forehead. 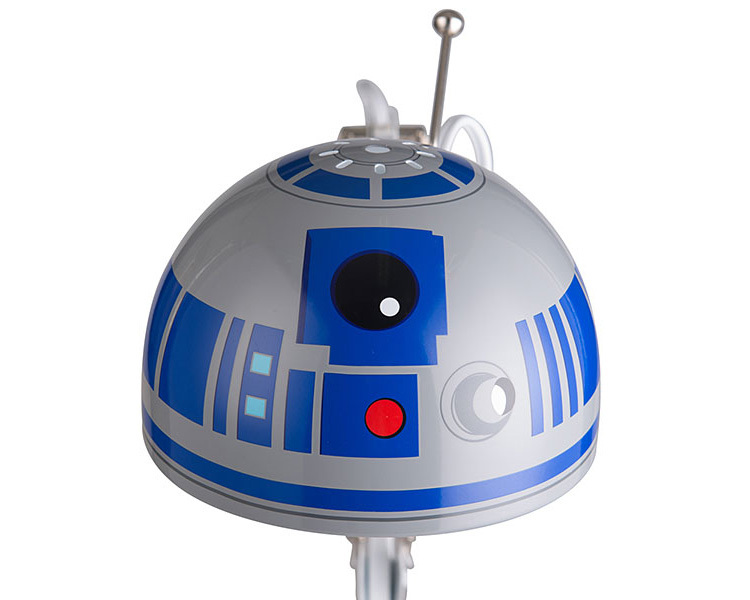 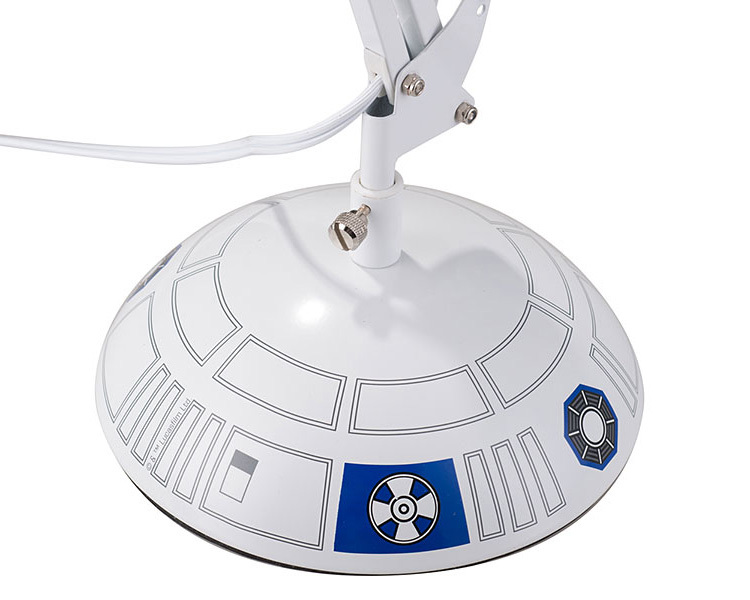 Plus, the R2-D2 Star Wars lamp will surely go great with your AT-AT cable organizer, your death star giant paper floor lantern, and your death star waffle iron that you keep right on your desk in case you find yourself in a waffle-mergency. The R2-D2 desk lamp uses a 40w max incandescent Type A bulb or 13w max compact fluorescent bulb which are not included, has a 60 inch long power cord that has an in-line on/off switch, weighs 5.4 lbs, and measures 22.5 inches tall x 7.8 inches in diameter for the base.